Baked cheese is a type of specialty cow's milk cheese that is common in Denmark and other Scandinavian countries. The cheese is baked during the production process, developing a golden brown surface that has an appearance similar to a baked crepe. 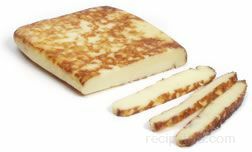 As the cheese bakes, the sugars in the cheese form a light caramel coating on the outer surface, while the interior remains its natural color. The resulting flavor is rich and creamy combined with a slightly sweet overtone. When baked cheese is sold outside of Denmark and the other Scandinavian countries, various names are used to market the cheese. The Finnish word, juusto, which, in English, translates to "cheese," is often used. The word, juustoleipa, which means "bread cheese," is also used. This name is derived from the bread-like appearance that is suggested from the oven-baked quality and browned outer surface of the cheese. The Swedish word, ostbröd, is another name that is used when marketing baked cheese. Castello Blue is a soft blue-veined Danish cheese made from cow's milk. It has a mild, buttery flavor with a hint of spiciness; and the aroma of the cheese is that of mushrooms. Castello Blue cheese is quite popular in Denmark because of its spreadable quality, which makes it an excellent choice for appetizers or to serve as a snacking cheese. It goes quite well with fruits and nuts. Danbo cheese from Denmark is produced from cow's milk. The color of the cheese is light yellow and the texture is semi-soft and slightly rubbery. The cheese is covered with yellow rind. Danbo is produced in rectangular shapes that are often coated with wax. 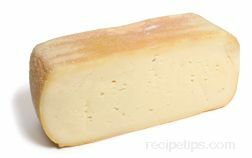 The flavor of the cheese is quite mild, although it is occasionally flavored with caraway, which boosts the taste significantly. Danbo cheese is most often used for sandwiches, snacks, hors d'oeuvres, and grilling. 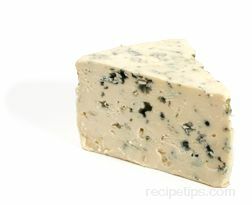 The term, Danish Blue, refers to a variety of blue cheeses that are produced in Denmark using traditional methods that were formulated to make French blue cheeses, such as the pasteurized variety known as Bleu d'Auvergne and the unpasteurized variety known as Bleu des Causses. 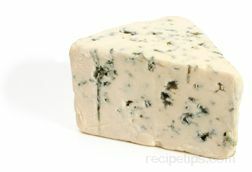 The blue cheese varieties grouped as Danish Blue are all made with cow's milk. The flavor of many Danish Blue cheeses is one of a natural grass, clover, and wildflower combination with a nutty overtone that is also somewhat salty and smoky at times. The Danish Blue cheeses have always been considered to be products of high quality and high value when compared to a number of other blue cheeses. Although the flavor is not as complex as many of the more famous blue cheeses produced in other European countries, Danish Blue cheeses are quite enjoyable and share many similar properties, including the characteristic blue streaks that add so much to the flavor of most blue cheeses. The moistness of Danish Blue cheeses allow the cheeses to be cut and sliced quite easily using a wire cheese cutter. Danish Blue cheeses go well with a robust red wine, such as a Cabernet. Esrom is a Danish cow's milk cheese, but it is made from partially skimmed milk rather than whole milk. Light yellow in color, Esrom has a mild, sweet flavor and a somewhat intense aroma. The texture of the cheese is semisoft with an elastic quality. Scattered throughout the cheese are small random holes. 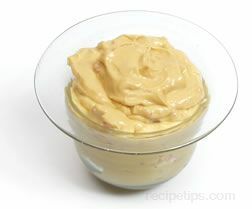 Esrom is suitable when served as a table cheese, when used as a flavorful addition to sandwiches, or when used as a good melting cheese. Depending on the age of the cheese, Esrom can also have a very soft consistency, which allows it to be quite spreadable, making it an ideal choice to spread on crackers or fruit. Esrom is also known by the name, Danish Port-Salut. Fontina cheese originated in Italy, but a similar version is also produced in Denmark. The color of both the Italian and Danish versions is a pale straw yellow and the texture of both is firm but creamy. The flavor is buttery with a slightly nutty taste. The traditional Italian version is made from unpasteurized cow's milk. The best Fontina cheese is thought to be that of the Val d'Aosta region of northwestern Italy where the cheese originated; however, Danish Fontina is also quite good. Fontina cheese is also produced in other regions and countries besides Italy and Denmark. Fontina cheese is often used as a dessert cheese, especially in Italy. It is also used as an ingredient in a popular Italian version of fondue. Havarti cheese originated in Denmark where it is still quite popular. The cheese has a texture that is semisoft and creamy. Small holes are scattered throughout the cheese. The majority of Havarti cheese is sold after it has aged about three months, at which time the flavor is still quite mild. If left to age for longer periods, the flavor of the cheese becomes much sharper. Havarti is popular as a dessert cheese served with fruit and wine. Saga Blue is a type of Brie cheese that is classified as blue cheese in Denmark. Made as a double cream cheese from cow's milk, Saga Blue cheese contains a delicate blue mold that may not appear similar to of other varieties of blue cheese. 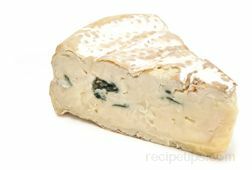 With a very soft texture and a mild but somewhat tangy flavor, Saga Blue cheese is made in much the same fashion as a soft and creamy Brie-type cheese. Like other Brie-type cheeses, Saga Blue has an edible white mold rind. 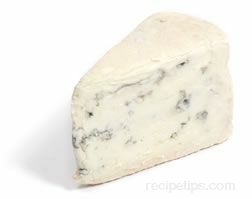 Saga Blue cheese pairs nicely with hearty red wines, as well as sweeter white wines, such as a Riesling.